Smart Growth America recently produced a series of video interviews with mayors from around the United States. The series, officials say, is intended to highlight prominent elected officials that are taking on leadership roles in promoting smart growth. 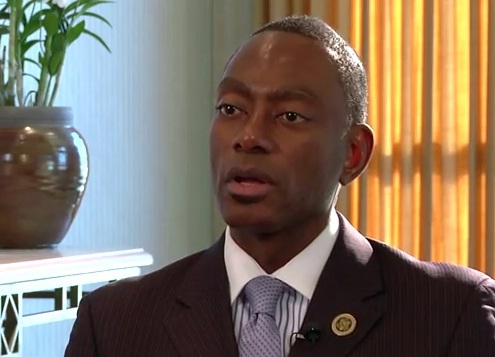 The first of those videos features Cincinnati Mayor Mark Mallory. In the video, Mayor Mallory discusses the need to invest in urban centers and make smart infrastructure investments that will trigger job creation and community development. Specifically, Mayor Mallory touts the recent completion of phase one work at The Banks and ongoing revitalization success in Over-the-Rhine. The approach being taken by Cincinnati is one that intrigued officials at Smart Growth America. Madrecki says that once that initial buy-in is achieved at a local level, support for smart growth projects like the Cincinnati Streetcar becomes a better reality. Accomplishing that initial task, however, does not necessarily mean that funding and regulatory issues will not also pose problems. Madrecki continued by saying that Mayor Mallory has shown the latter quality in spades, and has quickly become a national leader in the smart growth movement. As Cincinnati moves forward with additional phases of development at The Banks, and additional renovation work in historic Over-the-Rhine, smart growth champions believe that even additional investment will be needed in Cincinnati’s urban core to help those respective neighborhoods reach their full potential. One of the greatest challenges going forward for a Midwestern city like Cincinnati will be maintaining the momentum built by Mayor Mallory’s steadfast approach.